Lionsgate has released new character posters and motion posters for Uncle Drew, the studio's upcoming basketball comedy with current NBA superstar Kyrie Irving leading the cast as the title character. 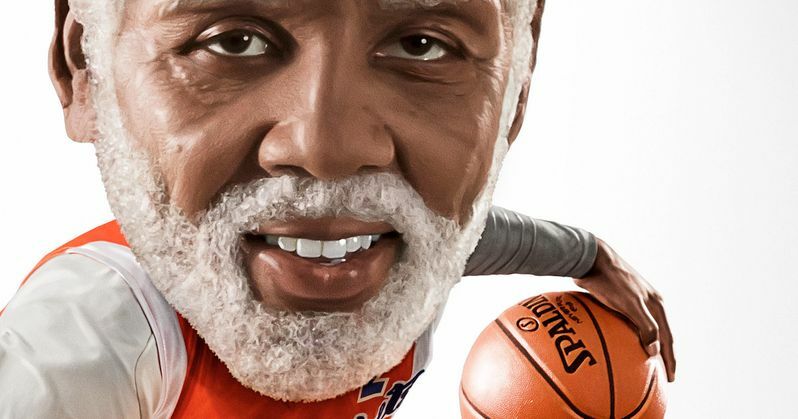 Basketball fans may remember the Uncle Drew character from a series of longform Pepsi Max ads, where Irving was transformed into a much older man, who shows off some surprising skills on the court. This new movie features a whole new story and brings in a cast full of basketball legends to give Uncle Drew a hand. After a successful five years as a fan-favorite digital episodic series, originally conceived by Pepsi, Uncle Drew, will hit theaters June 29, 2018. Uncle Drew is a Summit Entertainment release produced by Temple Hill in association with PepsiCo's Creators League Studios. Also hitting theaters on June 29, 2018 is STX Entertainment's I Feel Pretty, Sony's Sicario 2: Soldado and MGM's Valley Girl. The movie is also situated between two potential box office blockbusters, Universal's Jurassic World: Fallen Kingdom on June 22, and Marvel's Ant-Man and the Wasp on July 6. Kyrie Irving wrote and directed all four of the Pepsi Max shorts, the first of which featured his character surprising a group of young fans at a New Jersey basketball court. The subsequent shorts featured a number of different NBA legends, with Bill Russell and Kevin Love appearing in the second episode, Nate Robinson and Maya Moore appearing in the third episode and Baron Davis and Ray Allen appearing in the fourth episode, alongside comedian J.B. Smoove. For the feature film, the directorial reins were handed over to Charles Stone III (Step Sisters), with Jay Longino (Skiptrace) writing the script. Longino also has a basketball background, playing professionally in Mexico and in the now-defunct USBL. With the arrival of these posters and motion posters, the first trailer for Uncle Drew could dropping quite soon, but there have been no confirmed details about when the first trailer may arrive. The June 29, 2018 release date also comes just a few weeks after the NBA season itself wraps up, although it remains to be seen if Kyrie Irving can help his new team, the Boston Celtics, win an NBA championship this year. While we wait for more on Uncle Drew, take a look at the static posters and motion posters below, courtesy of Lionsgate.